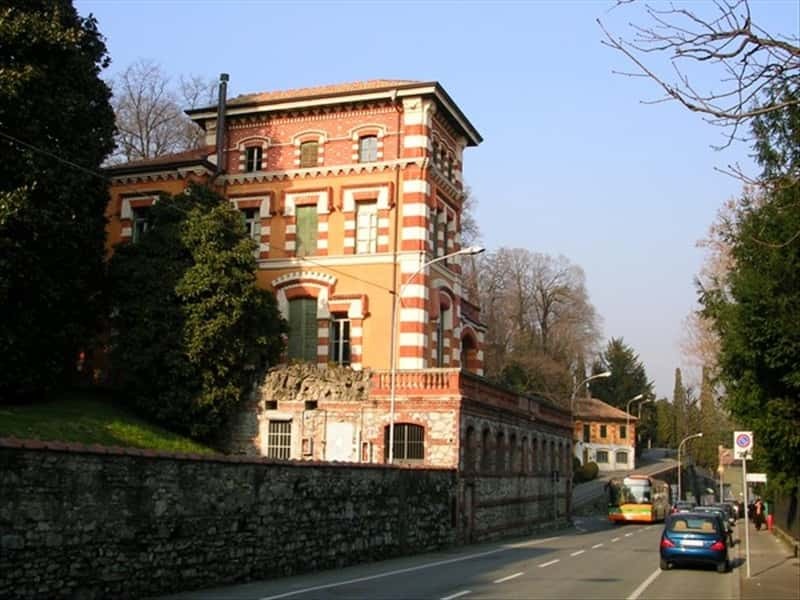 Town in the province of Como, at the foot of the Alps of Lombardy, in the center of the basin of the Lakes Eupilei, Erba sits in an area rich of ancient historical traces. Certainly the area was inhabited in pre-Roman times by the Ligurians, the Oroba and the Celts, in the district of Buco del Piombo, there is a cavern, in which prehistoric and fauna remains have been found, in addition to the remains of Roman and medieval walls, as the cave was also used as a castle. The Church of St. Euphemia, one of the most ancient plebeian churches of the diocese, dating back to the XI-XII centuries, preserves inside a wooden cross of the XV century and artworks from the Middle and Carolingian Ages. To the North of the façade lies the bell tower, built in the XII century in Romanesque style. The Oratory of San Bernardino, in the late Gothic style, presents an interesting cycle of frescoes of XV century, with additions from the XVI and XVII centuries. During the recent restoration work performed at the Oratory of San Pietro a Buccinigo, dating from the XV century, a Crucifix was found, dated 1513 and signed J. Andrea de Magistris, a good painter who has left many works in the churches of Como and Varese. Of great artistic value and architectural interest are the medieval castles of Casiglio and Pomerio, both made by the powerful family of Parravicini, the Church of Santa Maria degli Angeli, the only remnant of the ancient Franciscan monastery, with a fresco of the Crucifixion, dating from the XVI century, Villa Amalia, built by Leopoldo Pollack on the area of a former convent in the late XVIII and early XIX centuries, frequented by famous Italian poets, such as: Parini, Foscolo and Monti, Villa Majnoni, seat of the Town Hall with a large park, Villa Ceriani, home of the Library and the Civic Archaeological Museum, the Hermitage of San Salvatore and the Theater Licinium. This town web page has been visited 21,353 times.